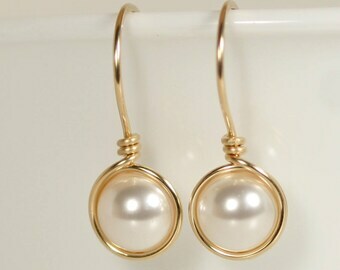 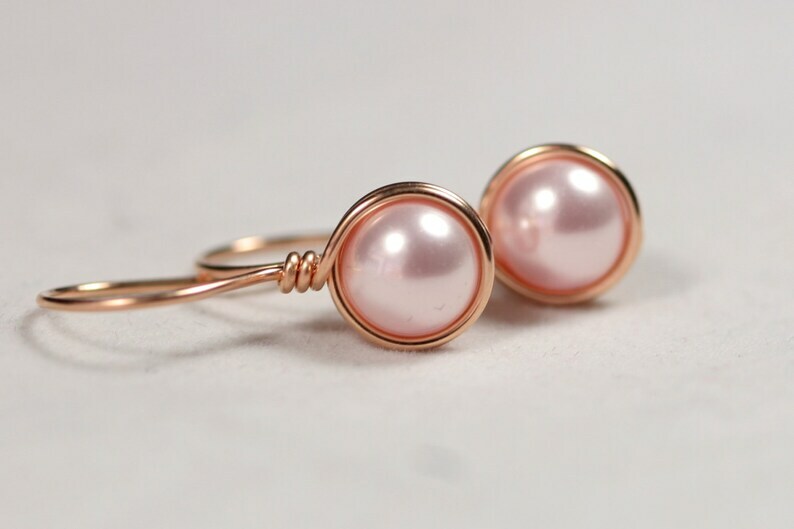 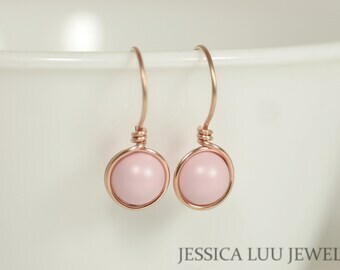 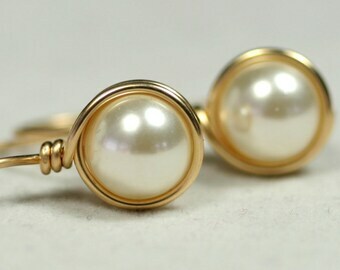 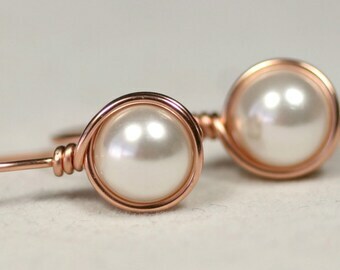 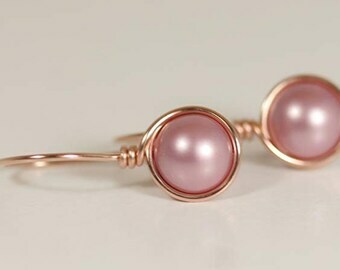 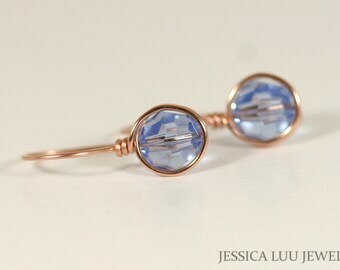 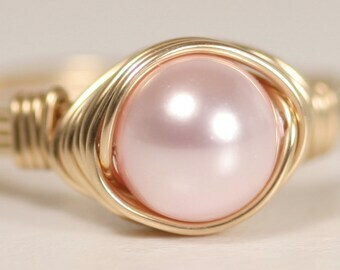 Each pearl is wrapped by hand with 14K gold filled wire which is then formed into the ear wire and hammered for strength. 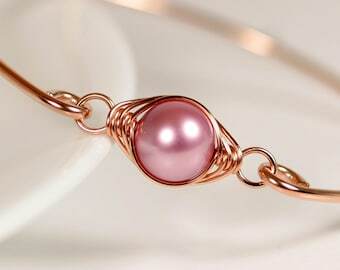 Gold filled wire is a hollow tube of 14 karat gold that is filled with brass for durability, so all the metal outside is 14K gold; gold filled wire will not wear off like gold plating and will last a lifetime. 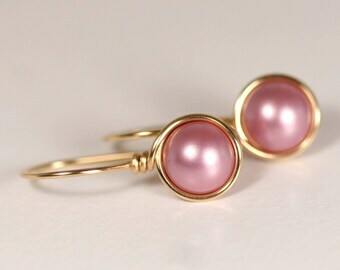 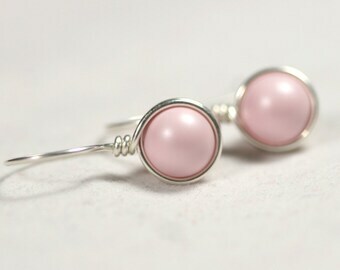 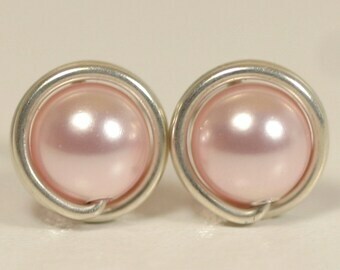 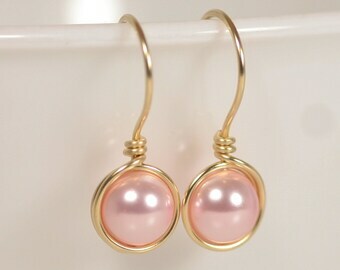 ~ "Lovely earrings my mum in law will be pleased with these."